This year, was a first for many a year, when I was not a שליח ציבור. I was also in a Shule where you could hear a pin drop. The combination of these two led to a slightly embarrassing moment on the first day of Rosh Hashana. Our Nusach, and that originally of my father ע’ה, is Nusach Sephard (not to be confused with the Nusach of Sepharadi Jews and their variations). My trusty Machzor, is small and was purchased decades ago when still a lad learning in Yeshivat Kerem B’Yavne. I was excited to reuse it, and happy that unlike some of my Seforim which are lent in good faith, and seem to have found a new home, this Machzor was exactly where it should be, and readily accessible. It was easy to hold, not being thick with salubrious translation and commentary. It was plain, much-loved, but hardly used in over three decades; certainly for Shachris or Mussaf. As a Shaliach Tzibbur/Chazan, I followed the Nusach of the Shule. This was Ashkenaz, and with the exception of the Avoda of Yom HaKippurim, the differences were not evident, as perhaps one might expect. As I know most of the Tefilla by heart, I found myself sitting wrapped in a Tallis, keenly trying to concentrate on each word in a way that had not been amenable beforehand when I was the שליח ציבור. I was free to use as much time as needed to navigate the words and their meaning. I recall that I didn’t answer. My reasons were private, I wasn’t able to answer anyway, and many of my thoughts remain private, until this day. Because I am acutely sensitised to Nussach, and was davening in a Shule that used a Machzor based on the Ari (and finalised by the Ba’al HaTanya, I presume) there were times that I was juddered by a different word, or in some cases (such as at the conclusion of הנני העני ממעש) a set of additional lines that were not present either in Nusach Ashkenaz or Nusach Sefard when they suddenly entered the arena. I haven’t looked into their etymology. Much of the time, my eyes were shut, and I was concentrating, as well as I could. There was the unusual fact that in Chabad there is no בעל מקריא to call out the Shofar notes. In fact, I was surprised that on the first day, the very first set of notes were not repeated as I felt (but I’m certainly no Rabbi) that they were questionably executed. Ensconced in the repetition of the Amida (which ideally I should have stood for throughout, except that this would have disturbed my concentration) I waded off into the worlds of מלכיות , זכרונות and שופרות. I use the word waded because probably for the first time in my life I managed to control my thoughts and focus, almost subterraneously, on what was being sai, occasionally fluttering at the odd word that was different from the Nusach I was used to. Even then, my thoughts were trying to reconcile differences in my expectation. I had always been jealous of people who were seemingly able to “meditate”. The jealousy stemmed from their ability to divest from what was occurring around them and focus solely on (often) something inane. It could be an exercise in mindfulness, or an approach that allowed one to concentrate on something else. I could never do it, despite many efforts and having five one on one lessons based on a non religious approach. My mind was forever bubbling and thinking, and I was unable to temper its tempestuous foray into areas that I did not want to go. I simply concluded that it was just one of those things: some could manage this exercise and other could not. I just wasn’t blessed to turn off, so to speak. I often joke with my students and alumni that my “off” switch is rusty, and can’t be repaired. Amazingly, this year, while I was “unshackled” from responsibility, and was also in a conducive environment, I was able to turn off the switch controlling the outside world and immerse myself in Tefillah. The embarrassing moment occurred when it came to שופרות. By that stage, the Cohanim, of which I am one, had left the Shule just prior and returned on time so they could ascend immediately after ארשת שפתינו. Alas, because I had been a שליח ציבור for so long, I was used to having a Levi bring me the Kvort and tissues, while someone else led the Cohanim. I was rooted to my spot on the Bima at all times, except that I jumped around to face the Kehilla. (And yes, I’m aware of different views in the Acharonim about this matter, but I have never lost my bearings and been unable to continue cleanly thereafter). Suddenly, someone tapped me and pointed to the Machzor (one being unable to speak at that point). I was deep in thought and was literally startled. At first I thought it was a Pesicha, something which doesn’t interest me. Finally, I realised, after noticing the Cohanim ready to ascend, that I was too late. The Priestly blessings were about to commence! I made a quick exit, as my hands hadn’t been washed, my shoes were not removed, and according to the Din, one is meant to make their move before רצה. In a curious way, whilst I was later mirthfully called the absent-minded professor, or asked “were you sleeping?”, I was neither. I had actually succeeded for the first time in my life to meditate at some level. Suffice it to say that on the second day, when I saw Rabbi Cohen walk past , I followed him and performed ברכת כהנים to the best of my ability, even though I had felt somewhat “disturbed” to leave the Shule for hand washing. In summary, it was a strange experience, and I missed out on ואני אברכם on the first day, but I was surprised and pleased with myself that I had reached a level of obliviousness that brought me to Tefillah-based meditation. I was touched, and appreciated by the fact that the Dayan, with whom I am having a respectful Torah discussion on this issue decided to read and follow up my previous blog in a publication dedicated to Yud Tes Kislev: the Yom Hillula of Rav Dov Ber of Mezeritch, the father of all Chassidic Rebbes, and the occasion of the freedom from a short incarceration by the great Acharon, the Shulchan Aruv HoRav and Ba’al Hatanya. The Dayan felt compelled to respond because a failure to do so might imply that he agreed with me. Chas VeShalom! Much of the material presented was a previous listing of the same Mekoros brought prior, which are well known. We know from whence the Ramoh recorded the Minhag Ashkenaz, and we are well aware that this is related to the the Maharam MiRotenbug and the subsequent line of students after him, who had had identified this same minhag during their time. We are also well aware that Minhag can uproot Halacha; the implication being that the Tri-Torah command of Bircas Cohanim can theoretically be supplanted by a Minhag. None of this is new and added no more to the discussion in my opinion. It is not a universally accepted anyway in this issue, despite the quotation of chosen latter day Acharonim. I’m surprised the Kitzur was quoted as a source. From the Hakdama of the Kitzur, we know his methodology of Psak, based on three acharonim. In my opinion, that adds nothing either. It is important to note that the Dayan misquoted some of the sources in his original article. Indeed, a careful reading of these shows an omission of important facts. This will be expounded upon in due course. Much to my sorrow, I don’t have the time in the day to do such things in the proper academic way. I would have liked to be בבית ה׳ כל ימי חיי but it’s not my current Goral. I can’t wait till I can spend more time learning, and conducting shiurim. I have seen some of the material in its full form, and not the quoted parts in the Dayan’s original article, and it is clear and compelling and is somewhat not consonant with the Dayan’s proof. As pointed out by the Gaon R’ Yekusiel Farkash in his Klolei Piskei Admor HaZoken, where there is no minhaga individuals need not follow or adopt a Minhag (even quoted by Admor HaZoken). Perhaps the Dayan will consider Rav Farkash’s comments as invalid. I don’t know. Rav Farkash is a very widely accepted expert. Having heard his Shiurim, and read some of his Sforim, he is clearly a deep and careful thinker. If so, perhaps the Dayan should write to him. I might. Ironically, the Dayan garnered some support from the Giant, R’ Yosef Dov HaLevi Soloveitchik inter alia. What the Dayan didn’t tell us is that the Rav Soloveitchik himself stated that an Avel should Duchen! This was also the opinion of his illustrious and legendary grandfather, the famed and revered Gaon, R’ Chaim Brisker. These are giants of the last few generations who knew the Ramoh and those who preceded him, very well. Admittedly, they aren’t as influenced by Acharonim, but this is an accepted mode of Psak. 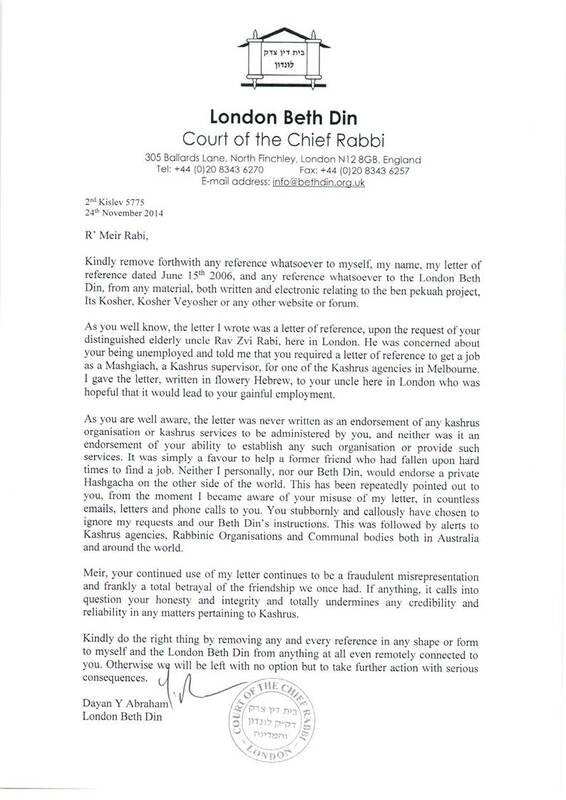 As the Rav once said when someone tried to tell him that his Psak was not the same as the Mishne Brura. “Nu, I am an Acharon, and I have a license and may certainly argue. I don’t force anyone to accept my Psokim. If you want to follow the Mishne Brura, go right ahead. Indeed, we don’t need to look to Brisk/Lita. We can simply list many examples where the Ramash (R’ Menachem Mendel Schneerson) instituted Minhogim against the explicit ruling of the Admor HaZoken. A famous example is the Ramash’s campaign to ask females to light Shabbos candles before they were married. We all understand why he did this, and what a wonderful initiative it was, however, if we are to remain unfaltering fidelity to the Admor HaZoken and the Rishonim and Acharonim who preceded him, this is against the Psak of the Admor HaZoken and yet is accepted. One couldn’t imagine the Dayan quoting the Ramoh or similar to the Ramash and saying “you are contradicting an open Admor HaZoken”. Sure, all manner of justification has been tended about that Takono, but if we are to be intellectually honest, the Psak of the Ramash, which he is most entitled to enact as a Gadol B’Yisrael of the last generation, amounted to an expression consonant with exactly what Rav Farkash expressed. The Dayan knows there are many other examples of this type. It is simply amazing when one reads that the Dayan is untroubled about the fact that the Avel can be involved, no, is enjoined to be involved in public expressions of Simcha during a Yom Tov, and yet on the matter of a blatant and obvious example of Aveylus D’farhesya, the Dayan resorts to a quasi-Hungarian mode of Psak, which is as immovable as Chadash Assur Min HaTorah, even if we don’t understand the reason. I am reminded of the (incorrect, according to many Poskim) Psak of the B’eer Moshe, the Debreciner, who said that any form of Bat Mitzvah celebration is Chukas Ho’akum and the act of Reshoim! This is of course plain wrong on many accounts, and has been shown to be so by many Acharonim, but it is indicative of the type of lack of response that the Dayan tended in respect of this issue. To say that once a Cohen leaves the Shule before Retzeh, there isn’t Farhesya, is incomprehensible! Farhesya has nothing to do with Akiras Raglov and the technical ramifications of someone who didn’t leave. Well before that, people ask me for special requests, and of course Cohanim leave the Shule to wash their hands! Everyone, especially in Lubavitch where they are Makpid to bring babies to get Birkas Cohanim, are most serious about this Mitzvah. To me, it not only allows me to be a conduit, but my ability to obtain a Bracha, something one especially craves in a year of Aveylus, is negated if I don’t perform it! Now that makes me sad! Interestingly, Rav Marlow paskened explicitly that a Cohen Avel who finds himself in Shule at Birkas Cohanim, and was unable, or perhaps forgot, or was pre-occupied, MUST Duchen on Yom Tov. I heard this directly from a completely trustworthy source. It would be Aveylys D’Farhesya. Now, Crown Heights is a different scene to Melbourne’s comparatively empty Yeshiva Shule where there were only four Cohanim. The Cohanim are like rare movie stars! How could the Avel Dyuchen? He isn’t (can never be) B’Simcha UveTuv Levov! According the the Dayan, this alone seems to be the only relevant factor! A Cohen sits in the Dayan’s Shule, and has the well-supported custom not to sit in his usual seat. Should the Dayan instruct the Avel to go back to his seat as it is Minhag Chabad? I witnessed no such thing at Yeshivah. I saw some who did and some who did not. It was up to the Minhag of the Avel. Aveylus, is most definitely tied to subjectivity and personal Minhag. To dismiss those because there exists another Minhag not favoured by the Ramo, is ingenuous. What of an Avel who dances B’Simha on Friday nights around the Bima during L’Cha Dodo (a minhag I haven’t seen brought in the Ramoh or indeed the Shulchan Aruch HoRav). Chadoshim LaBekorim? Should a Dayan intercede and advise the Avel that he is doing the wrong thing? What if the Avel retorted that he does this every Shabbos, and if he stopped it would be Aveylus D’Farhesya? Maybe we can use a guitar for Kabolas Shabbos if we raven early enough? What of an Avel who refuses to do Hakofos as brought by many Acharonim. He saw this from his own father. I personally witnessed the Dayan’s father in law and brother in law encourage Hakofos by suggesting that they do so together with a few people who surround him. If the Avel doesn’t feel comfortable adopting this approach would the Dayan say that the Avel has done wrong and that he must adopt Minhag Chabad? Dismissing the powerful arguments of the Gaon as not being necessarily consonant with Admor HaZoken, is fair enough, although I didn’t appreciate the tone of the sentence in the Dayan’s article. (On the other hand, for example Zman Krias Shema the Gra and Admor HaZoken do agree). One may choose not to follow the Gro and the Beis HoRav after him, as mentioned above, that is, those who share the Gra’s insistence that there is a Bitul of three positive Torah commands. But it becomes somewhat different when someone insists that in his Shule, a Minhag HaGro on Hilchos Aveylus cannot be practiced by an individual! Are we still in the time of the Cherem on Chassidim? Perhaps there is now a Cherem on Beis HoRav? Was it not the Ramash himself who said to the Rav (on Yud Tes Kislev?) that when they two got together as the Dor Hashevii of each of their illustrious lines of Beis HoRav that Moshiach would come? Is there indeed a “Minhag Chabad”. We know very well that the psak of the Shulchan Aruch Admor HaZoken, doesn’t necessarily constitute Minhag Chabad at all. Many Chabad Rabonim duchen! It is a hazy issue, at best. Those Rabonim cannot be dismissed. They include Rav Hendel of Migdal Emek, and he writes about Chu”l. Indeed, the Ramash expressly said that he would like to re-institute Bircas Cohanim each day in Chutz La’aretz, like Sephardim, but he doesn’t have the “ability” to do so. That in of itself is a puzzling comment. He could have instituted it in all Chabad owned/led Minyanim? Perhaps he felt he needed the agreement of other Gedolei Yisrael. I do not know. Next, we move to the issue of “what if”. What if a Cohen Avel does duchen. He may have done so because he assumed it was Minhag Chabad anyway in that Shule, or he may have done so because he knew it was most definitely a valid approach as quoted (and ignored by the Dayan) in the Nitei Gavriel where he states that “most chassidim DO Duchen in Chutz La’aretz as Aveylim on Yom Tov. I wonder whether the Dayan will respond in a vitriolic fashion and raised voice against such Chassidim and tell them “It’s an open “din” in Shulchan Aruch HoRav or the Ramo”. To use the style of argument the Dayan has used “they know the Ramoh’s opinion” and yet they Duchen! How can this be? It’s a Minhag the Ramoh quotes, remember. Next we move to the issue of: okay, an Avel just does it. Nu, so what happens to the Birkas Cohanim. Is it invalidated? If he is the only Cohen and does so, is it a Bracha Levatala. According to the Mishna Brura it most certainly is not. Does the Alter Rebbe say that a Cohen who does so is making a Bracha Levatala and/or his Bracha is useless? The Dayan sets the Halachos of a Shule and answers the questions of those who seek his Psak. It isn’t at all clear, however, to me that the Dayan should seek to impose a Minhag, albeit based clearly on the Ramoh on someone who has Duchened, and castigate a person for doing so! Is there a Din Macho-oh here? I think not. Hilchos Aveylus have limits on their objectivity. Much is subjective, and changed and changes with time, person and circumstance. As I pointed out to the Dayan, why didn’t he issue a Psak saying that Aveylim should not attend the Simchas Beis HaShoeva Farbrengens each night, with food and drink and great merriment. Furthermore, if an Avel did not do so, would he approach them and say that it’s “Minhag Chabad” to attend, and therefore you should attend. What is the Avel doesn’t feel comfortable! Is he saying that they aren’t B’Simcha? Shomu Shomayim! Finally let me open up the can of worms which relate to an unmarried man (who is also NOT considered B’Simcha according to Shas Bavli and Yerushalmi because he isn’t married). The Dayan is well aware that this is a Minhag in Hilchos Aveylus which has definitely fallen by the way side, ואין פוצץ פה with convincing argument. 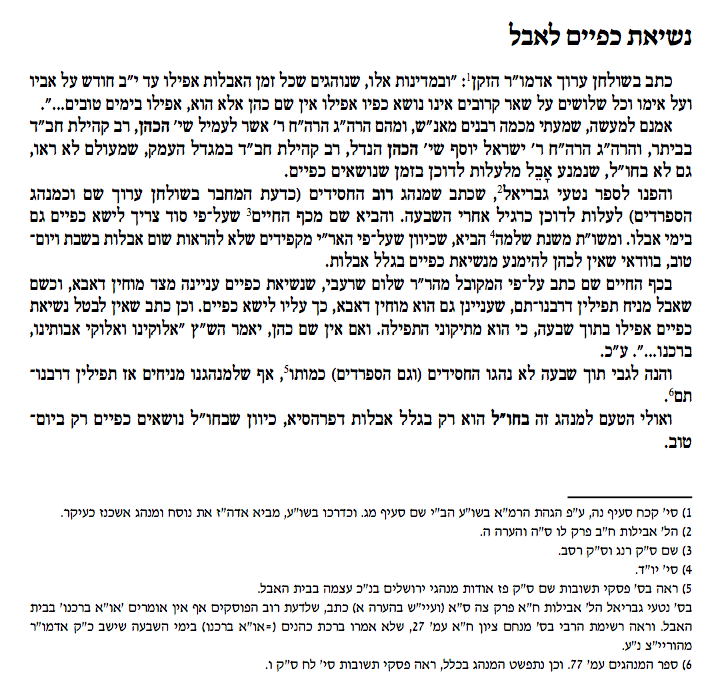 The Shulchan Aruch HoRav has chosen not to give credence to the Kabala on this issue (and on the issue of Duchening). That of itself requires elucidation and an article of its own. He is of course perfectly entitled to do so as a most respected Acharon. There is more, but this will do, for now. I am no Posek, but on such touchy issues, where the הלכה is כמיקל באבילות and there are many bluff procedures in place to enable simcha participation, I would (as has always been the case at Yeshiva) leave each Cohen to do as they see fit (unless they ask for a formal Psak Din from the Dayan/Rav, as was the case of the Rosh Yeshivah, Rabbi Cohen, for whom there couldn’t be a bigger Aveylus D’Farhesya!). I’m afraid I didn’t see answers to the powerful arguments laid out by R’ Shlomeleh Vilner despite the claim from the Dayan, that they were answered. Perhaps its my ignorance. PS. If one can’t see the connection between happiness and the ability to proffer love in a Bracha, then I’d have to say they were somewhat Misnagdic; it’s not a chassidic approach. PPS. I followed the Psak of Mori V’Rabbi R’ Schachter, and avoided the Shule on Shmini Atzeres and Simchas Torah so as not to cause a Machlokes, and so in no way did I ignore the practice the Dayan wanted to see uniformly applied to all decreed unhappy Cohanim. As such, this really is a theoretical discussion, LeTorah U’Lehadira. Can or should an Avel perform Bircas Cohanim? The laws of mourning are those which one customarily does not teach their child in respect of the Torah command to teach Torah to one’s children. It is not part of a School curriculum, and is normally the domain of a Rabbinic curriculum, as these laws often need instant answers with unfortunately little warning. God should make sure that all those who know nothing about the laws of mourning remain clueless and בלע המוות לנצח—may death be disposed of from our world, for ever. Indeed, let me take this opportunity to wish all those in need of a רפואה שלמה that therapeutic redress be imminent and complete. In my personal situation, after the passing of my dear father הכ’’מ, I was in the somewhat unusual situation of needing to lead the congregation on Yomim Tovim. This is permitted by the Poskim in certain situations. In my case, there were at different times three separate reasons to permit it. I did not find leading services on Pesach or Shavuous as difficult as Rosh Hashono/Yom Kippur. Some of this was due to my state of mind. Specific piyyutim, not limited to בראש השנה יכתבון and אדם יסודו מאפר, represented a challenge in terms of me maintaining a controlled comportment. On the other hand, I have been less in control of my emotions during Tefillos during years when I was not a mourner, so it wasn’t anything too unexpected. It is not contraindicated, and if anything, perhaps, just perhaps, God, above, may consider me a worthy representative of the congregation whose prayers I led and lead. A sad fact about our congregation is that those Cohanim, for whom the opportunity to bless the people באהבה with love was something they would never miss, have now departed this world, especially of late. My father was one of these. Apart from the Rabbi who is also a Cohen, and one or two others, the Duchan for Cohanim was an expansive area. I remember where, pardon the pun, it was “standing room only”. In the early days, I’d snuggle between my father, Mr Blass ע’ה and Mr Erdi ע’ה. Later, my sons, Tzvi Yehuda and Yossi would do likewise. These days, there is easily enough room for another 50 Cohanim to stand on the Duchan and bless the people, as per the Torah command (some say that it’s 3 Torah commands, corresponding to each specific formulaic blessing that should not be said in another language, and should not be changed one iota). I reiterate that many Poskim contend that it’s a Torah command to bless the people (הגר”י עמדין, במור וקציעה סי’ קכ”ח, כתב שנשיאת כפיים בזמן הזה היא מדרבנן). Indeed it is important that the volume of the Bracha be something that binds the Cohanim with the people. A large crowd with few Cohanim means they really should “belt out” the Bircas Cohanim (according to the Beis Halevi if I’m not mistaken, when discussung a pilpul of Shomea K’Oneh and Bikurim and Duchening). Originally, the Beracha was said after the bringing of the Korbanos on the Shmini LaMiluim; today we daven instead of bringing Korbanos). Outside of Israel, many/most Ashkenazi communities only do so on Yomim Tovim. Some Sephardim also do so each Shabbos. When I used to visit Bombay, I was the celebrity Cohen. None of the native Bene Yisrael were Cohanim, and the remaining elderly Jews of Iraqi descent were also not from B’nei Levi, let alone Cohanim. Similarly, when I was in Singapore for Shabbos, the custom was to perform Bircas Cohanim on Shabbos as well. In Singapore, the Ashkenazi Cohanim performed the Priestly Blessings, even though it was a Sephardi Custom. We were, after all, in a Sephardi Shule. One could cogently argue that this was also the “custom of the place” מנהג המקום. Singapore (like Amsterdam, for example) has always had the custom to Duchen on Shabbos as well as Yom Tov. It would be an interesting question whether a new Shule made up of those of Ashkenazic descent, should continue Minhag Singapore or refrain from Duchening on Shabbos. Getting back to me leading the davening as a Cohen, there is a disagreement among the Poskim whether a Cohen leading the service should stay silent or whether he should join the other Cohanim and utter the priestly blessings during the repetition of the Amida. One can find both opinions, and much has to do whether the Cohen will get mixed up switching roles. In our Shule, the Cohen does Duchen, and in fact, I find it an opportune moment to actually catch my breath. On Rosh Hashono and Yom Kippur, I’m exhausted at that stage, and having a regular Yisrael leading the calling of the special blessings, and only having to answer, is something I find quite easy. The Rabbi of our Shule does likewise, and he is a Cohen. This seems to be even more important now, where there is a veritable dearth of Cohanim. In summary then, during the year of Aveylus after my father, I had already duchened on Pesach, Shavuos, Rosh Hashana and Yom Kippur. Over the last few weeks I’ve endured a stubborn virus (at least that’s what I think it was) which thankfully only affected my voice in a minor way on Yom Kippur. I didn’t fancy the longer trek to where I normally davened, and instead attended services at a closer Shule which follows Minhag Chabad. I daven Sefard anyway, and have a seat there, and am certainly no stranger to that Shule. Well before Retzeh, as is the custom among some fellow Mispallelim at this Shule, I am asked “have me in my mind please” and so on. 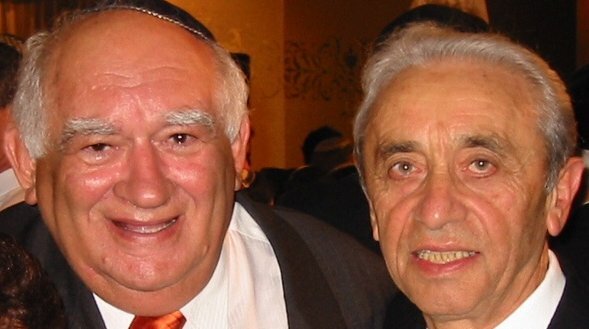 In fact, the revered Rabbi Groner ז’ל always asked me to remember יצחק דוד בן מנוחה רחל and I had the merit of being the last Cohen to give him ברכת כהנים before he passed away from our world. I mention this, because there is and was already an expectation that I was to Duchen, well before uprooting myself prior to Retzeh, let alone upon hearing the clarion call “Cohanim”. So, up I went on Day one of Succos. Even though this was the major Chabad Shule in Melbourne, there were only a paltry four Cohanim, of which I was one. I didn’t think twice about it. It is one of the joys of my life to be chosen, al pi chazaka as a Cohen, to use those specific words to bless everyone באהבה with love. Furthermore, I was one of a number; I wasn’t the only Cohen. In fact on Simchas Torah, I also give Bircas Cohanim to anyone who has missed it (although the Dayan once told me that it was B’aal Tosif, which after checking I could not understand in any form). It’s Ba’aal Tosif is you add a new ברכה, not if you repeat the same formula, but I digress. Normally, when I descend, there is the usual cacophonous יישר כח כהן and this extends to Rabbinic authorities in the Shule whom I pass on the way back to my seat. This time, however, it was different. The Dayan of the Shule, instead chose to alert me to his view as was “an open din in Shulchan Aruch” that an Avel shouldn’t Duchan on Yom Tov. I asked how it was possible for me to have already duchened on earlier Yom Tovim and been expected to duchen only to now bow out in a manner which could only be described as a דבר בולט, or in other words, an explicit אבילות דפרהסיה, לכאורה. He said that was another Shule. The so-called “open din” in Shulchan Aruch או’’ח קכח didn’t appear that way to me, when I looked at it at lunch time. Instead, it looked as if the Mechaber was describing the Minhag in Israel (which obviously also affected Sephardim on Shabbos outside of Israel) whereas the Ramoh described the custom במקומות אלו, which one presumes to be the Minhag that the Ramoh experienced in Ashkenaz. What was the reason for the Minhag in Ashkenaz, as also paskened in the Mishna Brura and of course the Shulchan Aruch HoRav (with just a very slight difference)? I will leave side-reasons of immersion before Duchaning to one side. Of course, Chabadniks immerse every day (or ought to). Others, such as בעל כנסת יחזקאל םי׳ י״ב (see also (ליסא) דרך החיים)) disagree with the Ramoh. אבל תוך שנים עשר חודש על אביו ואמו או תוך שלשים על שאר קרובים אינו נושא את כפיו, וצריך לצאת מבית הכנסת קודם רצה עד אחר נשיאת כפים. ואם אין בבית הכנסת שני כהנים אחרים, מותר לאבל לישא את כפיו תוך שנים עשר חודש על אביו ואמו ותוך שלשים על שאר קרובים, אבל תוך שבעה, כגון הקובר מתו ברגל, אפילו אם אין שם שני כהנים אחרים אינו נושא את כפיו. The primary reason for not allowing the Cohen to Duchan, was because as an Avel I’m not considered שרוי בשמחה (steeped in שמחת יום טוב see מטה משה סי’ קצ”ח) to the extent that I would be able to effectively make a Brocha באהבה and repeat the Bircas Cohanim together with the three other Cohanim. בתשובת מהר”ם מינץ כתב: “וכן ראיתי בחנוכה, בלילה הראשונה מתפלל האבל, אך להדלקת הנרות שיש בהן ברכת שהחיינו שראוי לברך מתוך שמחה, יש מהנזהין ואמרין דאחר דלאו אבל ידליק הנרות, וכן זכרוני בהיותי במענץ שהיה מהר”ר זוילין ז”ל אבל על אביו והתפלל בערב חנוכה, והיינו נושאים ונותנים בדבר אם האבל ידליק ג”כ הנרות או אחר שאינו אבל, ונשאר המסקנא שראוי ונכון שאחר ידליק הנרות, וכן נהגתי אח”כ בכל מקום מתוך אגודת חבריי ורבותיי”. ועיי”ש שדימיהו לאבל באמירת הלל בר”ח. ולפי”ז הרי הוא הדין בכל מקום שמוציא אחרים ידי חובתם וכגון במקרא מגילה. This Mahari Mintz on which the Magen Avraham סימן תקנ”א ס”ק מב appears to be based, restricted his view to when the Cohen was a Sh’liach Tzibbur who alone was מוציא אחרים, as opposed to the Magen Avraham in Hilchos Nesius Kapaim, as referred to in Shulchan Aruch HoRav and the Mishne Brura. בשו”ת מנחת אלעזר (ח”ב סימן לב) כותב בתו”ד “ורק לענין הדלקת נרות בבית הכנסת בחנוכה שזה אינו חיוב כלל על עצמו של כל אחד ואחד, רק משום פרסומי הנס בצבור נהגו כן, והמצוה העיקר להדליק בביתו, על כן כיון שברכת שהחיינו בנר חנוכה בביכ”נ הוא רק בעד הציבור לשמחה ולזכר הנס, הנהיגו שיברך אחר שהוא בשמחה, משא”כ האבל שאינו בשמחה, אבל בקריאת המגילה שהוא חיוב על כל אחד ואחד לקרות בציבור דוווקא, והברכת שהחיינו על המגילה בצבור גם האבל מחוייב בה בביהכ”נ בקריאת המגילה, והוי כמו הדלקת הנרות בביתו דלכולי עלמא מברך האבל בביתו כמבואר בשו”ע שם, וגם יוצאים בני ביתו בברכת שהחיינו שיברך בביתו בנר חנוכה, וכן הכא [במגילה] אם אחר יברך והוא האבל שומע כעונה ועונה אמן , הוי הוא גם כן המברך, וכיון שהאבל מחוייב בעצמו לברך הברכה בביהכ”נ במגילה, גם האחרים יוכלו לצאת בתורת שומע כעונה, ודו”ק”, ומסיים בענין שאלתו אודות זה “שהוא רגיל ומוחזק לקרוא את המגילה בצבור בביהמד”ר דקהלתו, ועתה שהוא תוך י”ב חודש על אביו ע”ה ונפשו בשאלתו כדת מה לעשות, ואם יברך שהחיינו”, ע”ז מסיים בהמשך להנ”ל, “ע”כ הבו דלא להוסיף עלה במה שמצינו בט”ז סי’ תרעא לענין ברכת שהחיינו רק בחנוכה, ולא לענין פורים כנזכר, ובפרט שהוא קורא תמיד בכל שנה ושנה”, ועיי”ש מה שכתב עוד שגבי הרגיל בקריאת המגילה בכל שנה, הרי כשלא יקרא הוה אבילות בפרהסיא דיש לחוש ע”ז מדינא. I was to learn that a number of Chabadniks in חו’’ל had duchened while they were in Aveylus, and that was according to Piskei Din of Chashuvei Rabonnei Chabad. I tried to remember what Rabbi Groner ז’ל had paskened for my father, and I do recall him being uncomfortable with my father standing alone during Hakofos, and suggested that someone go around with him in a type of Mechitza so that he wouldn’t technically be part of the Hoshanos Parade. To the best of my ability, I cannot, however, recall what my father have did for Duchening. Certainly the Rav of my father’s Shule, who was also a Cohen, and his own children, who were also Rabonim, duchened during their Aveylus. On the next morning, the second day of Succos, I approached the Dayan of the Shule, and asked him whether it was true that he paskened that Chassidiei Chabad could attend Farbrengens for Simchas Beis HaShoeva during their year of Aveylus, and whether he agreed that it was incongruous for Simchas Beish Hashoeva Farbrengens, with the singing, merriment and drink (and Toras Hachassidus) there was no impediment for a Chasid who was an Avel, and yet for the Avel who felt that he had absolutely no problem expressing אהבה through the Bracha, and for which the זכות resulting from Hashem was ואני אברכם he would theoretically deny me the opportunity to perform Bircas Cohanim. I asked him, that despite the Minhag quoted by the Ramoh, whether there was actually an established Minhag in the Shule Itself where the Rav would make it his business to inform Avelim that they should disappear early enough before so that they would not have to be in the Shule for Duchening. He was not happy with my line of questioning, and gave vociferous voice thereto. In the end, he passed on a message through a Gabbay that he would “prefer I would not Duchen”. At that point, I decided to do what my father would have done—run away from Machlokes, and leave early enough so that people wouldn’t even mention “have me in mind”. I know that many were disappointed and that they felt that, like הושענות and many dinim of Aveylus, this was a personal הרגשה, and that it was not quite right to tell someone effectively, your level of שמחה (even with בשר ודגים and ביום שמחתחם) wasn’t enough to effect Brachos as an agent of Hashem. I did find that the Aruch Hashem of Navardok seemed to be equally troubled by the concept of being מבטל an עשה or three over such a matter, and to paraphrase him, he could not understand what was wrong. Perhaps this is a Litvishe thing. The Biur HaGro (who also saw the “open Shulchan Aruch”) as did the פרי חדש and others also felt that one should not interfere with the Avel and let him go his way depending on how he felt. According to the encyclopaedic Rav Gavriel Tzinner, this is also the practice of “all” chassidim and the view of the Griz, although he doesn’t bring a specific Mekor for those assertions. When he is next in Melbourne to examine the Eruv here under his Hashgacha I may well seek him out for sources for these statements. I do not know whether Rabbi Groner ז’ל would have gone up to an אבל after the act, and said, “don’t duchen tomorrow”. The Dayan finally said it was his “preference” that Aveylim not Duchan in the central Chabad Shule of Melbourne. I will have opportunity to Duchen on Shmini Atzeres, and in sobriety during Shachris on Simchas Torah, before my year of aveylus ends. I think it prudent to avoid Machlokes and being too evocative with the Dayan by davening there on these days (even I have done so for at least 40 years). I have absolutely no hard feelings. It’s Torah, and we need to learn and understand and follow it. I just don’t understand how I’m considered unable to bless באהבה. If anything, and I think this is mentioned by Acharonim, the אבל is more sensitised to the needs of others and able to express genuine blessing to all (despite מדת הדין hanging around an אבל during the year). I thought that the pre-requisite (כלי המקבל) for Kabolas Brachos was HaSholom, Peace! נשיאת הכפיים קדימה מבטאת את העתיד, שהרי הידיים מתקדמות אל מעבר למקום שאליו הגיע הגוף. ועל-כן הכהנים נושאים את כפיהם, לבטא את הכמיהה והתפילה המובעות בברכת כהנים, אל עולם שלם ומתוקן –– עולת ראיה ח”א רפד). Author pitputimPosted on September 22, 2013 September 22, 2013 Categories Alter Rebbe, Bircas Cohanim, Chabad, Chafetz Chaim, Halacha, LitvaksTags Aruch Hashulchan, Aveylus, Bircas Cohanim, Biur HaGro, Mourners, N, Priestly Blessings1 Comment on Can or should an Avel perform Bircas Cohanim?